Scandinavian Airlines apparently decided to do a service for its customers and break some patterns. Here are the headphones issued by the airline. Isn’t it great to be able to tell left from right? Why was Kennedy killed, after all? Posted on 2014-11-02 by Tigr. 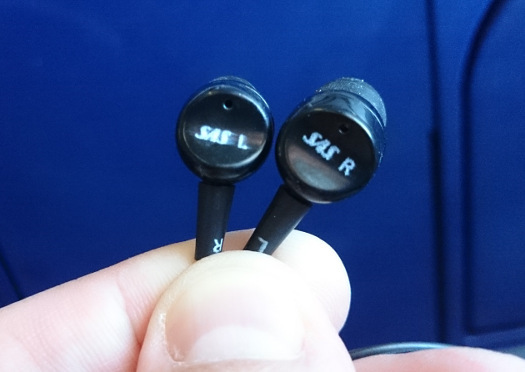 This entry was posted in Various and tagged break, confuse, en, funny, headphones, left, pattern, right, SAS. Bookmark the permalink.